The cubesat form factor is largely responsible for the explosive growth in the smallsat industry. The small and standardized size facilitated component development, deployment systems, and collaboration across university and agency projects. 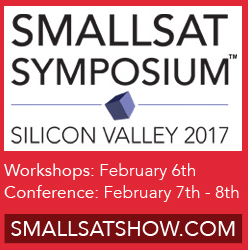 Yet, with a more mature and competitive industry, the opportunity to consider various form factors within the smallsat market has expanded. The market now approaches a point of diversification, in which new projects increasingly opt for larger, more capable platforms as operators and investors seek to optimize satellite design for their addressable market. 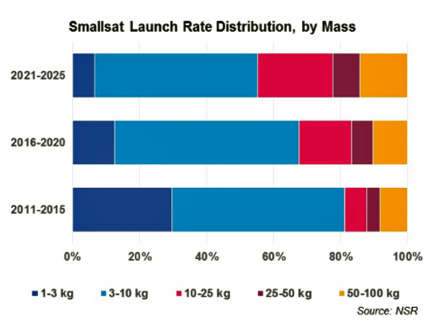 Smallsat launch rate distribution, by mass. Chart is courtesy of NSR. NSR’s Small Satellite Markets, 3rd Edition identified a growing interest in larger size platforms across constellation and non-constellation projects, prompting the share of 10 kg to 100 kg satellites to more than double from 19 percent between 2011 to 2015 to 45 percent between 2021 to 2025. A part of this trend is natural evolution of a nascent industry still developing know-how and establishing ancillary support services. More critically, commercial, university and government/military operators alike are targeting capability and performance levels that simply require a larger platform—more power, higher downlink capabilities, on-board processing, higher payload mass or volume requirements (such as for a larger aperture), etc. A key enabler of this mass diversification is component and bus availability. A plethora of manufacturers have emerged alongside demand growth, providing more solutions that support power hungry, voluminous, or otherwise demanding payloads and offer longer lifetimes. Players such as York Space Systems, SITAEL, Millennium Space Systems, and Axelspace, among others, now offer platforms in the 50 kg and above range for Earth Observation (EO), Communications, and Science applications. Opportunities certainly remain to address lingering gaps and bring robust competition to the manufacturing market, but new companies have already facilitated broader satellite mass options for both in-house and external build practices. 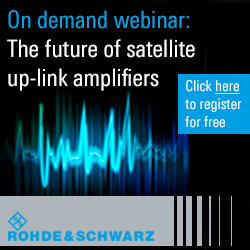 Yet, despite more diverse platform availability and growing acceptance of the positive trade-offs of larger platforms, some aspiring operators and investors are still in the standardized-size mindset and have not entirely accepted that satellite and system architecture must be flexible during design and tailored to the application and business objectives. Manufacturers continue to be solicited for cubesat-only constellation projects, even in cases where a more efficient approach would involve fewer, larger satellites. While nothing is inherently amiss with a cubesat architecture, putting design constraints prematurely to this form factor can complicate or frustrate realization of overall system objectives. This rightsizing mindset is key, as satellite size can and frequently does change as operators refine objectives and work with manufacturers to ensure the satellite and system architecture efficiently address core requirements. Both Hera Systems and Astro Digital are following the launch of their low-resolution constellations with a constellation of larger, more capable platforms to obtain complementary imagery assets. PlanetiQ has moved in the opposite direction, planning a 75 kg satellite for their constellation in 2013 but settling on a sub-20 kg bird by 2015. It is the capabilities that matter, not the satellite size itself. Moving forward, we will see commercial constellations implemented using diverse architectures. Some operators still find that a small, 3U cubesat can adequately address customer requirements. For others, a larger 6U or 12U platform maintains standardization benefits while providing breathing room on design and reducing the expenses of a miniaturization effort. Nearly half of commercial smallsat constellation operators are sidestepping the benefits of standardization and turning to larger form factors to satisfy payload objectives and requirements.